Members did not have to wait long for the first call of the year. 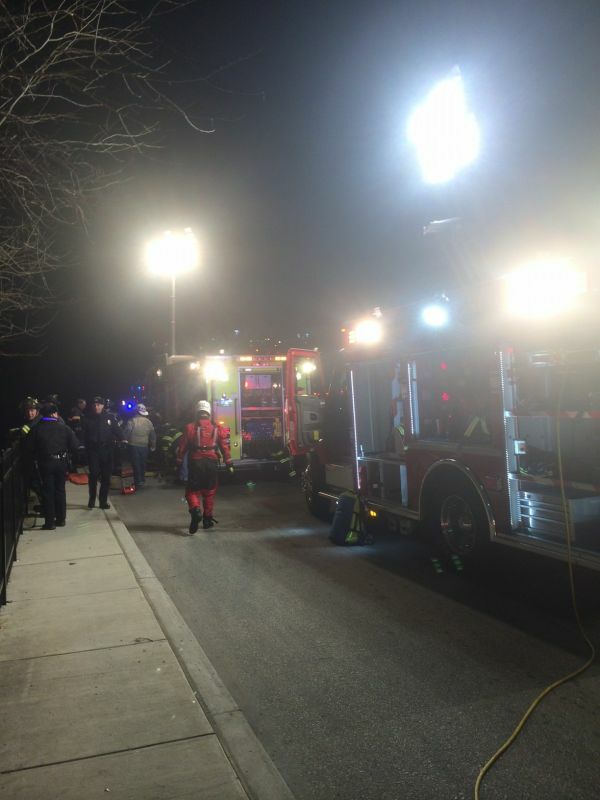 At 4:13 in the morning, pagers alerted Penn Wynne and Gladwyne Fire Company members of a water rescue at Lancaster Ave. and Lankenau Drive on the hospital's campus. LMPD was reporting a van overturned in the creek with a subject inside and fire and ems should expedite. 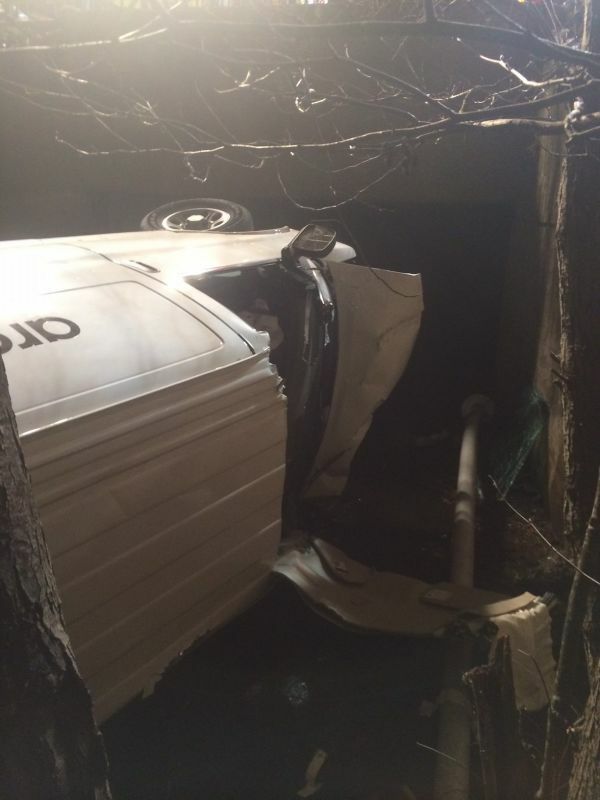 Allegedly, the van was exiting the hospital campus, left the roadway driving through a fence and into a culvert retaining wall landing on its passenger side in the creek. 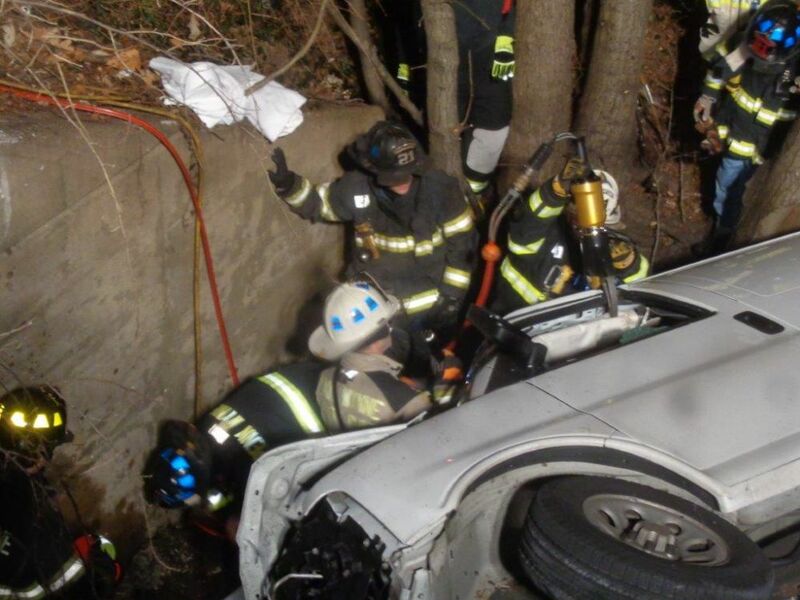 First arriving units determined the driver was the sole occupant and trapped in the vehicle. Accordingly, Rescue 22 from Belmont Hills was added to the incident. 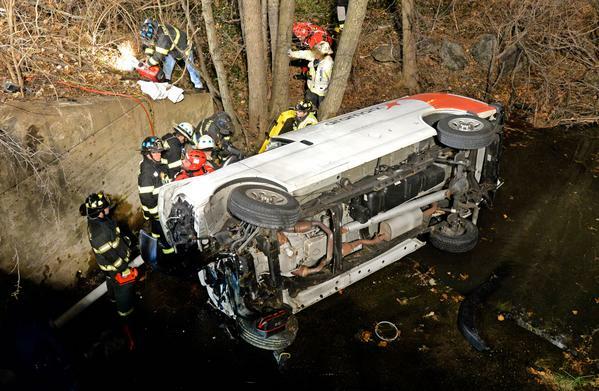 Crews worked through difficult conditions to stabilize the vehicle, extricate and package the victim and transport the individual through the woods where more advanced medical care could be given by Narberth Ambulance Paramedics. Due to the severity of the injuries, the victim was flown to HUP's trauma center. The incident marked another example of great teamwork in Lower Merion.